En 1957 un nuevo proyecto de blindado ligero fue iniciado por el Gobierno Chino. El desarrollo del vehículo se completó en 1959. El nuevo blindado, pesando 16 toneladas, estaba equipado con una suspensión de barra de torsión de 4 ruedas y la colocación trasera de la suspensión, montando un cañón de 57 mm (más tarde actualizado a 76 mm). 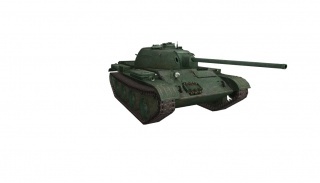 This tank weighs very little, and has weak armor to match, although its front is angled. Unfortunately, both its stock view range and speed are subpar for a light tank. This tank can mount an autoloader, although it has low penetration in exchange for more damage. 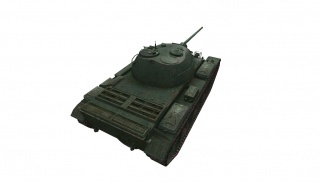 The 59-16 fits your textbook definition of a scout tank. It sports both excellent maneuverability and a tiny profile, allowing it to either perform as a passive scout or an active scout. The small size and agility of the 59-16 can let you drive around a map, lighting up enemy positions as you use the terrain to keep yourself as hidden as you can. Equipping optics would be a great idea for this tactic. The same traits can let you be the first player to spot from a forward position, letting your team take out enemy tanks before they even have a chance to fight back. If you're doing this, it is best to hold your fire as well as bring along a camo net and some binoculars. These excellent scouting traits come at a cost though, preventing you from doing most other tasks effectively. 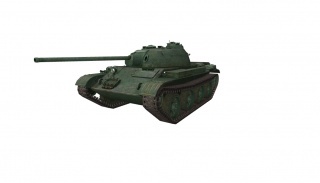 All of your gun options will prove nearly useless against even some medium tanks, so avoiding combat is a must. However, the autoloading 76 mm is able to make short work of other light tanks and arty, or any other tank that has minimal protection. The 57 mm gun gives you more of a chance against other tanks, though you'll have a harder time taking out what the 76 mm can. 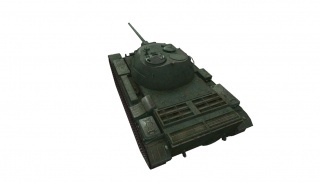 However if you are not afraid to fire the tanks premium ammo out of it's autoloader you will find it easy to clean up enemy tanks that are at low health as it's premium ammo can pen almost all tanks within it's matchmaker tier when fired at the sides or rear, as well as you will find it is often ignored by the higher tier tanks as they blow it off as not being able to pen them allowing you to get behind them, dump your clip, and run away before they are even able to turn their turret. For the tank, you should research the suspension first of all. After that, go for the turret, then the radio for scouting. The guns should be your last concern for this tank. You may want to get the autoloader, though many players prefer to stick with the 57mm gun for its superior accuracy and penetration. Before getting to the WZ-131, it is recommended that you research the Type-58 for the 85mm guns, otherwise you will be stuck using the same 76 mm guns on the next light tank. 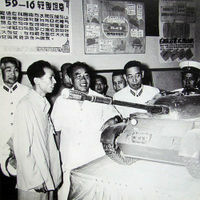 A scale model of the 59-16 being presented to Marshal Zhu De, among others. Esta página fue modificada por última vez el 25 oct 2016, a las 09:04. Esta página se ha visitado 39 veces.